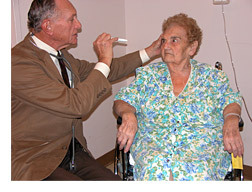 Residents are evaluated promptly upon admission and are seen daily until stabilized. The presence of a physician throughout the day insures prompt attention to possible acute medical problems, thereby reducing the need for hospitalization. 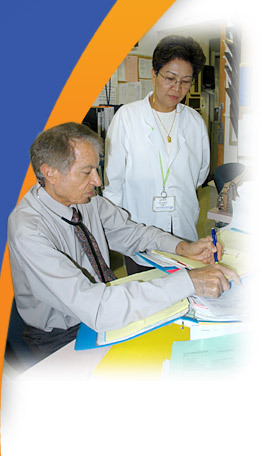 Center physicians also provide care for those suffering from chronic pain. This specialized approach to pain management helps those afflicted with arthritis, diabetes, circulatory disorders, paralysis and contractures. Each resident is assessed upon admission and re-assessed periodically for pain. A comprehensive plan is then developed which actively works to relieve pain and symptoms which interfere with the residents’ quality of life. 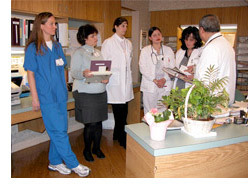 The medical director is assisted by attending physicians, a nursing staff and numerous allied health care professionals. Consultants, including specialists in medicine, rehabilitation, dentistry, podiatry, opthalmology, optometry and audiology, contribute their skills as needed in fully-equipped, up-to-date clinics. 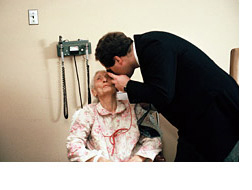 Respiratory therapy services are also available for residents. For further information contact the director of nursing by clicking on the link or by calling 973-253-5230.